On December 4th, the U.S. Supreme Court heard arguments on New Jersey’s plea to remove criminal penalties for sports betting, and allow for it to be legalized at casinos and racetracks. According to reports, the Supreme Court appears to be siding with the state of New Jersey in this particular case. However, whether or not this would pave the way for sports betting to be legalized in every other state still remains to be seen. That being said, one thing appears to be agreed-upon by many: the decision could shape future legal arguments when it comes to other such issues where there is tension between federal and state laws, such as gun control, immigration, and marijuana. New Jersey is seeking to overturn the Professional and Amateur Sports Protection Act (PASPA), which effectively outlawed sports betting nationwide (with the exception of sports lotteries and/or licensed sports pools in Delaware, Montana, Nevada, and Oregon), and closed the door to states legalizing sports betting unless they did so by 1993. In 2014, in an attempt to get around the prohibition, New Jersey passed a state law that removed the prohibition against sports betting only in casinos and racetracks. The crux of the state’s argument is that PASPA overreaches Congress’ specifically enumerated powers and infringes upon that which is the exclusive domain of the states under the 10th Amendment to the U.S. Constitution. While New Jersey’s 2014 law was ultimately rejected by both the district and appeals courts, during the December 4th arguments, the U.S. Supreme Court appeared to side with the state of New Jersey. 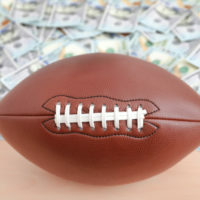 While those defending PASPA argue that it is within Congress’ ability to regulate interstate commerce, in fact, Congress never did set up a regulatory framework to govern sports gambling between the states; rather, the text and effect of PASPA simply bans all sports gambling outright if it was not already legalized–within a given state–by a certain date. Many have predicted that this decision could affect other bans put in place by the federal government which some states have sought to legalize, such as the recreational use of marijuana. It could also ultimately clarify which actions do and do not constitute “commandeering” by the federal government. As of now, the circuit court ruling decision in place dictates that Congress and the federal government have broad powers to block states from modifying their own laws when it comes to private conduct. Some have speculated that had the U.S. Supreme Court agreed with the circuit court ruling (in upholding PASPA), it would not have taken the case. If you have been accused of illegal gambling within New Jersey or New York, contact the office of Phillip J. Murphy today. With more than 25 years representing defendants in Bergen County and surrounding areas, we provide our clients with the very best in criminal defense services.